I've always had a fascination with motorcycles ever since I was a child. I've ridden horses all my life, and I always saw motorcycles as a motorized version of horseback riding haha, exposed to the outdoor elements and in complete control. My dad rode when he was younger and when he saw I was serious about learning he wanted a refresher and took the class again with me, after that it was history. I'm the artist of the family and really couldn't relate much to my parents until I started riding, now its something my dad and I can bond over together. My motorcycle has definitely changed my life for the better. Not only have I met my best friends from it, but I've been given so many amazing opportunities. I owe this Honda everything I have going for me today. I've been riding for six years now, and my only regret is not having the courage to learn earlier. It's the best stress reliever and makes the experience of going somewhere exciting. 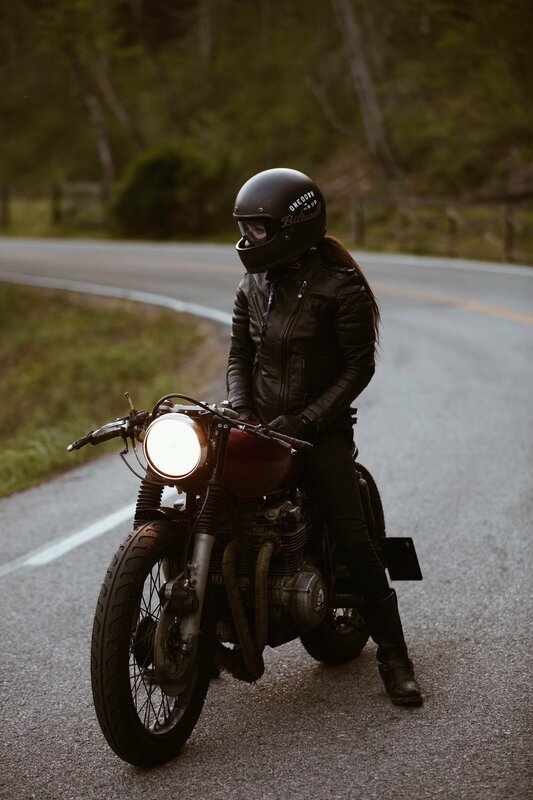 It's funny to me when people have a stereotype of motorcyclists being "bad guys" or "dangerous," I can honestly say the nicest people I've met have been on a bike. This culture is so welcoming and encouraging, and I'm so grateful for the lifelong friendships that it's given me. Want to be a part of the Petersen Digital Exhibition? Submit your story here!